The Expression of Interest window opens on 5th September 2016 and closes on 31st October 2016.
investments in recreational, tourist infrastructure and activities to improve health and quality of life. The Bags of Help Programme is funded by Tesco customers from the proceeds of the 5p charge for plastic carrier bags as a result of the carrier bag levy. Each month, an in-store vote will determine which projects will be funded. Three local community projects will be voted on in Tesco stores across 200 regions throughout Great Britain. Go to theStore Locator to find the nearest Tesco store to you. Every year, over 7,000 projects will receive funding through this scheme. There is no match funding requirement. Projects can be a stand-along project or a discrete, self-contained part of a larger scheme or part of a phased project. o Supporting local football clubs with the purchase of nets, balls and coaching sessions for under 12’s. o Projects which cannot be completed within 12 months of the grant being received. There are no deadlines. Applications can be submitted at any time. Applicants will need the postcode of the Tesco store that is nearest to their project in order to complete the eligibility quiz. Eligible applicants will then be given a link to the full application form. Organisations must be constituted and have a governing document. The applications will be assessed by Groundwork to ensure they are eligible. This is followed up by Tesco short-listing groups. The final projects will then go forward to the in-store vote. For further details, visit the Groundwork website. The Heart Research and Subway Healthy Heart Grants scheme supports new and innovative projects designed to promote heart health and to prevent or reduce the risk of heart disease in specific groups or communities. Grants of between £1,000 and £10,000 (occasionally more for projects of exceptional merit) are available to not-for-profit organisations in the UK. A grant can pay for the full project or contribute to the cost alongside other funders. In exceptional circumstances, where a project has a very strong heart element applications may be considered from researchers. Projects must focus on, and actively promote, heart health or reduce the risk of heart disease throughout the duration of the project. The cost of travel may be included in a Healthy Heart Grant application provided it forms a necessary and integral part of the project. The costs of attending meetings and conferences may also be covered if the necessary supporting documentation is included in the application. Any equipment bought must be used for the Healthy Heart project only. The cost cannot exceed 50% of the total amount of the grant application or £2,000 in total. Projects must run for between six and 12 months. o Private enterprise and government local authority, or public sector or organisations funded with public money. o Capital costs such as buildings, running costs, repairs, permanent fixtures or existing or continuation projects. The grant scheme opens to applications in specific regions at different times of the year. Applications from the West Country and Wales opened on Monday 22nd August and will close onMonday 3rd October. If you're interested in finding out which region you're in, click on the 'Which Subway region am I in?' in the box marked 'Further information' on the programme's webpage. Application forms together with further information about the scheme are available to complete online at the Heart Research website. PLEASE NOTE: grants are paid quarterly in arrears against a comprehensive project report and an appropriate invoice. The Trust is asking one community group from each region and nation to create a permanent artwork for HMD 2017 on the motifs of absence and roots, as these are key elements of the theme for HMD 2017. This could be a mosaic, garden, pathway, sculpture and so on. Groups will need to complete an application form that will contain information about the idea, the group and where you plan to host the artwork. A budget of £1000 is available to each successful group. The deadline for submissions is 4 pm on 16 September 2016. To help you prepare for your activities for 2017. If you would like to book a place then please click on the links below and these will take you to the Eventbrite website. The Edgar E Lawley Foundation prefers to support small charities that engage in and run community projects for the benefit of disadvantaged groups. o Hospices and other miscellaneous projects. The Foundation offers grants in the region of £1,500 to UK registered charities, with no match funding requirement. The Trust’s annual charitable expenditure regularly exceeds £200,000. During the year ending 5 April 2016 the Foundation’s expenditure was £235,759, of which grants totalling £223,500 were made to 149 organisations. PLEASE NOTE: although priority is given to smaller charities operating in the West Midlands, awards are made across the United Kingdom. Application forms are available to download from the Foundation's website and should be submitted by email. The next application deadline is Monday 31 October 2016. Heritage Endowments are intended to support heritage organisations to build an endowment, which will provide an annual income over the long-term and create a lasting source of financial support. Fundraising for an endowment will enable organisations to increase fundraising expertise among their staff, volunteers and Trustees and develop relationships with donors. The programme aims to help heritage organisations diversify their income and become more resilient, making a lasting difference for heritage and people. o Achieve a significant growth in endowments in the heritage sector, invested to provide sustainable funding for the long term. Heritage Endowments grants of £250,000, £500,000 or £1 millionare available. Grants must be matched £ for £ by private donations raised by the applicant. In addition to the match funding element, organisations can also apply for up to 10% of the grant to help resource campaigns. For example, an organisation applying for £250,000 in match funding could apply for an additional amount of up to £25,000 to support the campaign. o Improving fundraising infrastructure for the campaign, such as supporter databases carrying out evaluation and sharing learning. o Funds administered by local authorities or National Health Service bodies as charity trustee (but not from their general budget). PLEASE NOTE: eligible match-funding donors do not need to be UK registered companies nor do individuals need any UK domicile or residency qualifications. Grants will only be provided to match-fund money raised from private sources towards the building of an endowment, and some of the costs associated with a fundraising campaign. Public sector funding, including that distributed by intermediaries, cannot be used as match funding. o Natural heritage including habitats, species and geology. o As a time-limited expendable endowment, where the fund, both capital and income, is expended over a long period of time. HLF will only accept proposals for endowments to be spent over a period of 20 years or longer from the completion of the fundraising. o Demonstrate that their organisation has the necessary processes in place to provide strong financial management. This should include, where the organisation already holds investments, evidence of their management, whether direct or through investment managers or managed funds, backed by recent audited accounts. o Sensible plans for legacy giving as an important element of a sustainable endowment fundraising strategy; and the ability to run a match funding challenge (direct experience is not required, but applicants should be able to demonstrate similar experience and the capacity of the team who will manage the campaign and endowment). Applicants will normally be expected to be the owner of the heritage asset that will benefit from the Heritage Endowments grant. If the endowment relates to land or buildings and the applicant is not the owner, a lease with at least 20 years left to run after the match funding project’s completion date will be required. In some circumstances a group of heritage organisations that individually would not have the capacity to fundraise for endowments might form a partnership to provide the capacity necessary to successfully deliver a Heritage Endowments campaign. Applicants must initially register online at the HLF website and submit a project enquiry form by Thursday 13 October 2016. HLF will then release an application form that must be completed and submitted along with supporting documents by Thursday 24 November 2016. Applications will be decided by HLF's Board of Trustees and awards will be made in March 2017. Successful applicants will have four years to complete their fundraising campaign. For further information, visit the Heritage Lottery Fund Heritage Endowments Grants webpage. Funding for rural areas with fewer than 10,000 residents. Grants are available to charitable and not-for-profit organisations in the UK for small, local projects working to address community issues in areas of extreme Urban Deprivation or remote, socio-economically deprived Rural Areas. Needy Rural Areas: places with fewer than 10,000 residents. Deprived Urban Areas: places that are considered to be in the lowest 20% on the government's Multiple Deprivation Index and have more than 10,000 residents. Small Grants: of between £1,000 and £6,000. 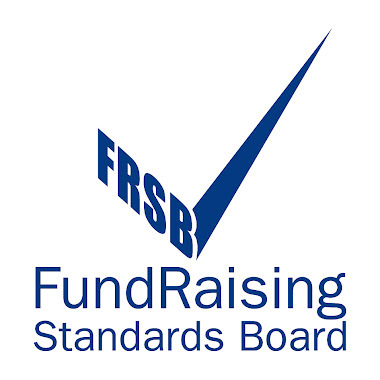 Standard Grants: of between £6,001 and £12,000. Large Grants: of between £10,000 and £45,000 for capital projects only. Match funding is required for all levels of funding. Applicants will need to have secured 50% of their funding from other sources. Established charitable organisations (including CICs, social enterprises, not-for-profit registered companies, voluntary organisations) in the UK are eligible to apply. Small to medium sized organisations. Have a demonstrable track record of success working to address local problems in communities in areas of extreme urban deprivation or remote, needy rural locations. The level of the applicant's income will determine which grants programme they can apply for. Total annual income refers to the total annual income for the whole organisation as shown in the latest annual accounts. Applicants should provide their latest annual accounts. However, if this is not possible then the latest annual accounts and bank statement will also be accepted. Individuals, whether direct or through a third party. Organisations registered outside the UK. Projects that take place outside of the UK. Statutory services including state schools (unless these are specifically for pupils with disabilities), prisons, local authority services and NHS hospitals or services. Universities and further education colleges. Organisations with a total annual income in excess of £5 million (except hospices). Set up costs for new organisations. Purchase of computers or other electronic equipment. Creation or maintenance of websites. Animal welfare and conservation projects. Projects with primarily an ecological aim. Capital appeals for places of worship unless these are primarily for community use such as an adjoining church hall or a clearly defined community area within a place of worship. Projects to enable a building to comply with legislation such as the Disability & Discrimination Act or Health & Safety regulations. Staff training required by a statutory authority or as part of continuing professional development by an industry body. PR and awareness raising; fundraising salaries, events or initiatives. Projects primarily concerned with the production of DVDs or other media. All grants are for one year only. Funding is available for general running costs including salaries, core costs and overheads and capital expenditure on buildings or essential equipment. Projects should address rural issues and urban deprivation. Projects providing transport for the elderly, disabled or disadvantaged. Contact networks for the young disabled. Projects which encourage a sense of community such as community centres and village halls. Employment training schemes especially those promoting local, traditional crafts. Projects addressing issues such as drug/alcohol misuse or homelessness. Training schemes to help people out of unemployment. Drop in centres for the homeless. Alcohol and drug misuse projects. Domestic violence prevention and aftermath. Projects in deprived areas for people of all ages with physical and/or sensory disabilities. Support for people with mental health issues. Arts projects for people with disabilities. Performance or visual arts with a clear and strong community impact. Heritage projects in marine or industrial areas which involve local people and have a demonstrable community benefit. Trusthouse is interested in supporting capital projects at hospices throughout the UK. Applicants will need to have secured a minimum of 50% of the total cost of the project and to identify a specific element of the project which a grant from Trusthouse would cover. Priority will be given to projects that benefit patients, rather than visitors or staff. Trusthouse does not give grants for hospice running costs. Although Trusthouse waives the need for hospices to comply with the requirement that applicants should be based in areas of extreme urban deprivation or remote rural districts, preference will still be given to such areas, as the possibilities of local fundraising are more limited. Support and activities in pregnancy which reduce stress and mental illness in the expectant mother. Health, diet and exercise in pregnancy and the first two years. Teaching mothers the vital need for bonding with their baby in the first year of life and supporting such interaction. Grants are available for covering overheads and salary costs are available capital projects, for one-off expenditures such as equipment and new builds are also available. Applications for Large and Standard grants are currently being accepted for the meeting scheduled for early November. Applications should reach the Foundation by early September. Please note there are no deadlines, and the Foundation will close earlier or later, depending on the number of high quality applications received. Applications for Small Grants are considered outside the meeting, and will receive a final decision six weeks after receipt. The guidelines can be found on the Trust's website and applicants are urged to read the guidelines before starting the application process. They should also use the online eligibility checker which will lead to the application form. Applicants will be taken through a short questionnaire to identify which type of grant is most suitable. Powys Association of Voluntary Organisations (PAVO) has launched an online funding information portal available exclusively for PAVO members. The funding information portal aims to help PAVO members’ source funding to support an array of activities and projects. PAVO membership is open to all voluntary organisations and community groups who operate in Powys. Membership is free and groups can join by going to www.pavo.org.uk or by phoning PAVO on 01597 822191. Round two opens today ! The Skills and Opportunities Fund is scheduled to open for application from not-for-profit organisations in the UK and ROI starting on 19 August and closing on 9 September. The £2.5 million RBS Skills and Opportunities Fund was set up last year by the Royal Bank of Scotland in support of organisations that help people in disadvantaged communities develop, create or access the skills and opportunities they need to help themselves, skills that will enable them to get into work or start a business, now or in the future. The funding is aimed at projects that will promote education, develop skills for employment and help people to start a business. No more than 25% of the project spend can be capital costs. Large capital costs are not eligible, eg buildings, land purchase, refurbishments, large items of equipment. Small items of capital equipment are allowed if they are used within the delivery of the project. The maximum grant is £35,000 or 20% of the applicant’s previous year’s turnover. The upper limit of turnover is now £10 million. There is no turnover restriction for schools or colleges. Not-for-profit organisations or an eligible state funded education body, such as a charity, social enterprise, community group, school, or college can apply. Be able to demonstrate experience of working in and or with disadvantaged communities. Have a turnover of less than £10 million or be a state funded school or college, and have been trading for at least two years. The deadline for applications is 9 September 2016 (noon). Grants for general charitable purposes in the United Kingdom. The prevention or relief of poverty. The advancement of health or the saving of lives. The advancement of human rights, conflict resolution or reconciliation, or the promotion of religious or racial harmony or equality or diversity. The advancement of environmental protection or improvement. The relief of those in need by reason of youth, age, ill-health, disability, financial hardship or other disadvantage. The advancement of animal welfare. The promotion of the efficiency of the armed forces of the Crown, or of the efficiency of the police, fire and rescue services or ambulance services. Any other purposes that are recognised as charitable under subsection (4) of the s.2. Funding is provided at the discretion of the Trustees. Grants can be awarded on a one-off or recurring basis. Match funding is not a specified requirement. Applications will only be considered from registered charities in the United Kingdom. Applications should be for activities that fall within the Trust's grant-making priorities. Core and revenue costs are supported, but salaries of staff members are not funded. Applications may be made at any time. The Trustees usually meet monthly to consider applications and approve grants. Would you like to get to know your neighbours better? Or perhaps you would like to thank your volunteer for their hard work? Whatever it is you would like to celebrate, you can apply for up to £2,000 to hold a‪#‎BigCelebration‬. Jeans for Genes Day/Genetic Disorders UK Grant Programme will open shortly to groups and charities that care for children aged 18 and under who are affected by a genetic disorder. Genetic disorders include colour blindness, Down syndrome and sickle-cell disease. A full list can be foundHERE. The Programme will give charitable groups the opportunity to secure funding for a project that will make a tangible difference to the lives of people with a genetic disorder. The maximum grant available for 2017 is £5,000. Jeans for Genes may decide to award the full grant requested or offer a lower amount. o Special needs organisations, such as special schools or playgroups that provide services to children with a wide range of conditions as long as children affected by genetic disorders are the main beneficiaries of the project. Organisations that care for children with a range of health conditions will need to provide detail on the number of children with a genetic disorder and the types of disorders they have in order for their application to meet the eligibility criteria. o The charity or support group has a child protection policy in place (if applicable). o Cancer (except for those types of cancer that are caused by a genetic disorder). o Complete an End of Grant Report within three months of the project ending. The programme will open to applications on Thursday 1st September and has a deadline of Friday 30th September 2016. Application forms and guidelines are available from the Charity's website. Completed application forms must be returned via email. A signed copy of the completed application must also be sent by post. The Eligibility Questionnaire (EQ) deadline closes on 01/09/2016. Submit your EQ before this date for a chance to be on the Approved Eligibility List for Active Inclusion projects across Wales. The Active Inclusion Funds aims to reduce economic inactivity in Wales and improve the employability of disadvantaged people furthest from the labour market by supporting organisations with funding to provide training, qualifications or supported employment opportunities. The Royal Bank of Scotland’s (RBS) Skills and Opportunities Fund is a £2.5 million public-voting (see fina paragraph) scheme designed to support organisations that help people in disadvantaged communities develop, create or access the skills and opportunities they need to enable them to get into work or start a business, now or in the future. A disadvantaged community could be a geographical area that faces a particular aspect of disadvantage or to a community of interest, such as women, Black and Minority Ethnic (BAME), etc. There is no minimum grant. The maximum grant is £35,000 or 20% of the applicant’s previous year’s turnover. The upper limit of turnover is £10 million (there is no turnover limit for schools or colleges). Not-for-profit organisations, registered charities, and state-funded schools and colleges based in the UK or Republic of Ireland may apply. Although match funding is not an essential requirement, applications will be scored on levels of match funding and in-kind support. No more than 25% of the grant can be spend on capital costs, which are fixed one-time expense incurred on the purchase of land, building, construction and equipment. o Be able to complete the project within 18 months of the award. The country has been divided into seven regions, each with its own decision making board to distribute the Skills & Opportunities Fund. Although all regions will be looking to fund projects that enable people to help themselves, each will have differing priorities recognising regional differences. o The creation of volunteering opportunities for RBS staff. o Those seeking funding for a capital-only project (funding for capital costs must not exceed 25% of overall project costs). The second and final round for 2016 has a 3 week application window. It opens this Friday, 19 August and closes at midday on Friday 9 September 2016. Applications must be made online, which will only be possible once the scheme has opened on Friday. For further information, visit the Skills and Opportunities Fund website.